Doescher also spoke with StarWars.com about what went into picking the cover for the upcoming book, saying, "Out of all the covers in the series, I’d say it’s the one that leans more towards comedy. BB-8 is such an adorable character, giving him this Elizabethan attire just makes him look funny." 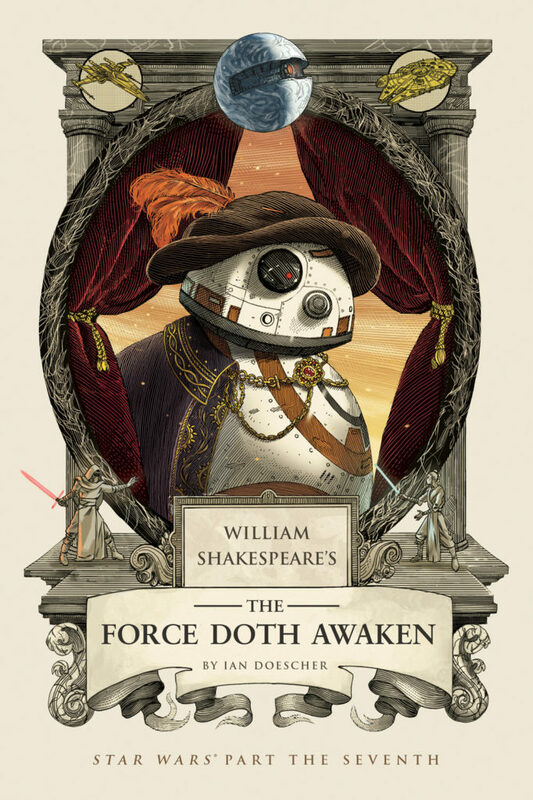 William Shakespeare's The Force Doth Awaken -- Star Wars Part the Seventh hits book stores on October 3rd.